Bread Sticks Anyone?? 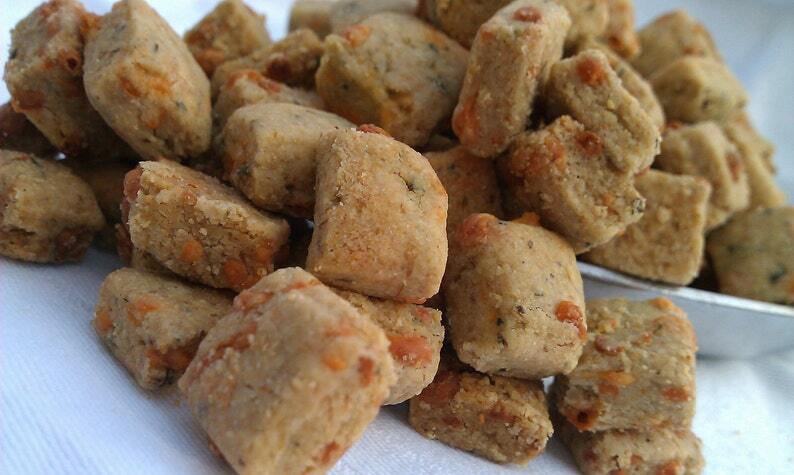 Your dog will love the taste of All Natural Cheddar Cheese and Organic Italian Herbs. * Each cookie measures approximately 1 1/2 " by 1 1/2". These bite size treats are perfect for training young puppies or adult dogs. We are happy to bake them in medium or large too. Please message us if you would like a different size. Organic Italian Herbs: Basil, Oregano, Marjoram, Thyme, Rosemary, Sage.